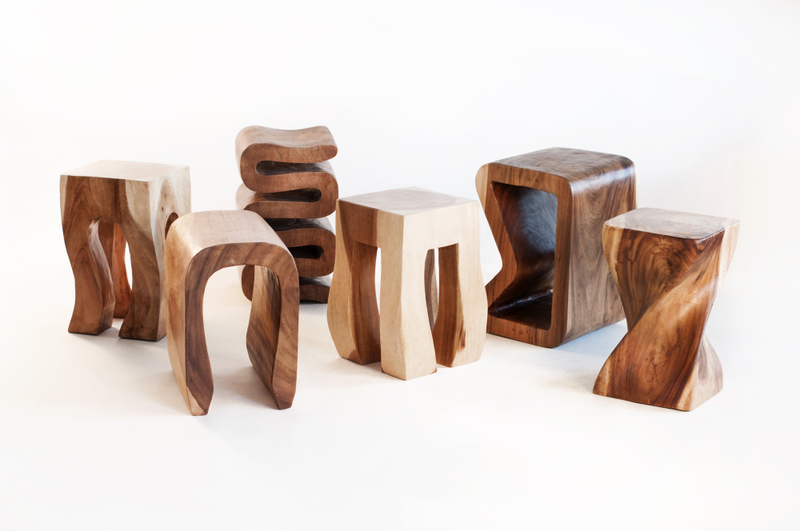 The Bon Bon Natural Wood Stool has contemporary character with an organic edge. 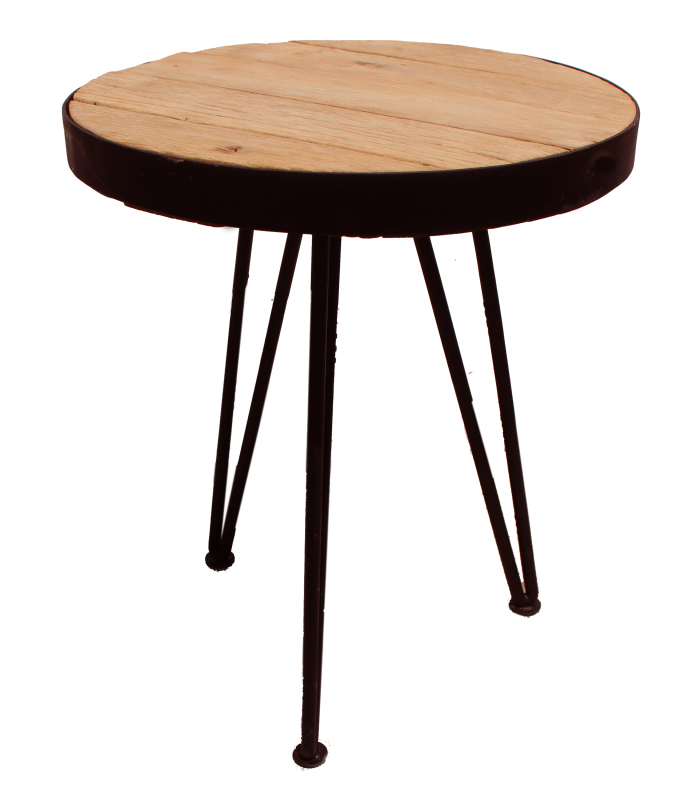 It's very suitable for seating and can also be used as a plant stand or end table. It measures 14 x 14 x 18" tall. It has a tropical wood top and iron legs. W 14" / D 14" / H 18" / 18 lb.